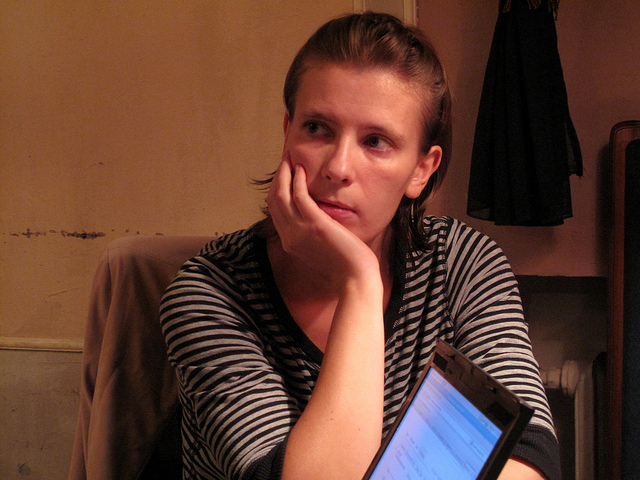 Marina Litvinovich is a blogger, civic rights and human rights activist. After a career in political consulting, an investigation of the Beslan hostage crisis, and participation in the liberal opposition movement, Marina has become one of the most influential activist bloggers in Russia. In this interview Marina shares her thoughts on her own blogging, as well as how the internet might affect deeper social and political changes in Russia. Her blog has played a significant role in launching independent investigations, in cases such as the “Lukoil” car crash case as well as the “Live Barrier” case. Recently, Litvinovich launched “Best Today”, a web-aggregator that monitors the Russian blogosphere. You can read more about her background here and here. Q: Marina, what is the role of your blog (abstract2001.livejournal.com) in the Russian blogosphere? First we have to talk about a special place that LiveJournal plays in the Russian blogosphere. LiveJournal blogs have a tremendous impact on politics and news agenda. Mainstream media are losing their foothold as a sole provider of information and blogs are stepping up. Bloggers are also independent interpreters of events. In many news events, the first interpretation is very important. When the blogosphere interprets the news, it is like a soup that is being cooked in front of your eyes. Blogs are also important for public mobilization. In 2006 I organized an unauthorized rally in support of the soldier, Andrei Sychev [19-year old Sychev had both legs and genitalia amputated after a life-threatening beating as part of military hazing]. For the first time in Russia someone used a blog to direct public anger towards the Ministry of Defense. Despite the fact that the rally was unauthorized, and there was only my blog to spread the word, about 400 people attended. Lately I've started to write about all sorts of cases of lawlessness. The purpose is to increase exposure of the topic to a point where it will be picked up by mainstream media. One story I promoted is the Anna Shavenkova case [a woman who caused a fatal car crash yet did not face any charges because of political relations]. It was picked up by TV news after I wrote about it, and many people joined the campaign. Another example was the accident at Leninsky Prospekt [a fatal accident caused by the vice president of Russia's largest oil company, Lukoil]. I located the relatives of the two women killed, and published a letter by the family saying they did not believe the official version of what supposedly happened. Q: What is your method for uncovering these stories? The main factor of success is the presence of factual evidence (a video, photo or an official document). If you can confirm the story, it increases the chance that it will be accepted by people. The issue of trust is crucial for a blogger. Second, there should be an eye-witness. Not a journalist who tells the story based on other sources, but a witness whom the reader can trust. Certainly, the story should involve injustice. And the story will be even more influential if it is of existential nature – if it's a matter of life or death. On the one hand, I have flair for such stories, but they do not always work. Sometimes you publish something you feel for and it doesn’t have any effect. On the other hand, I receive many letters from people who ask for help. I try to help them all, even when it is difficult. It is a big responsibility. I compose every story so people can experience it as a kind of novel – here is the beginning, here is the end, here's the plot, that's what happened. There has to be emotion. If you write about things without emotion, people do not react. But this is also difficult because I've started feeling more emotional emptiness. It’s just impossible to react emotionally every time. There are so many stories of lawlessness… The stories are monstrous, and if you react emotionally to each one, then at the end of the day you're just dying from all the energy spent. Nonetheless it always has to come from the heart. Q: How many help requests do you receive? One or two letters a day. But I hold on to them for a while since it takes time to verify and gather more information. I am encouraged when a story begins to unravel. Then public attention is drawn and people can begin to solve their problems. At least sometimes things change for the better. The ultimate purpose of all this is to change something, to make people’s lives easier. Q: Your blog uncovered three stories that became iconic this year – the Lukoil Accident, the Shavenkova case and the police “Live Barrier” [a policeman who lined up innocent passenger vehicles to catch an alleged criminal in a car chase]. Can you contrast and compare the different effects of these three stories? In the Shavenkova case it was different. People forgot the initial accident in a matter of two days. The second time I highlighted the story was when I discovered that Shavenkova had been classified by the investigators as a “witness” rather than as a suspect. And that's where exposure helped. When the trial against her eventually took place, her status had been changed to “suspect”. However, the court decided to postpone the sentence for 14 years [Shavenkova bore a child three months after the crash]. I actually wrote that we should welcome even this sentence, because in principle all humanity is good, even in severe cases. If we demand compassion for people like Svetlana Bakhmina [an executive of Yukos Oil who was jailed for tax evasion and embezzlement and released early to care for her young children] and other mothers in prison, then we should demand this for everyone. Of course people had a hard time accepting that Shavenkova will not receive her punishment soon, or maybe never. Still, I believe the outcome was a success because it reached its logical conclusion – a guilty verdict. With the third story, the accident at Leninsky Prospekt, it ended up with an official defeat of the bloggers, even though most people still believe that Anatoliy Barkov (Lukoil's top manager) was responsible for the crash. All three stories happened in the context of an anti-police campaign, which began with the case of Major Evsyukov [a Moscow police chief who shot three people in a gun rampage at a supermarket]. Barkov's case actually started another online movement – against emergency vehicle lighting [widespread abuse of blue, flashing lights on cars driven by Russian officials in order to disobey traffic rules]. Q: So the main reason for the popularity of your blog is your investigations? Actually yes. These are mini-investigations. But then people join and start writing about it. It creates a “wave” that engages others. Q: And the main function of your blog is in creating these waves? Yes, creating a wave and turning it into a massive networked campaign. I call them “blog-waves.” And you can clearly see how these waves go on the “Yandex blog” monitoring system. It shows to what extent people are engaged in the discussion of a specific topic. Q: What was the most powerful wave? The most powerful and longest – is an anti-police wave. The second is the wave against emergency vehicle lighting. Q: Have there been any efforts to stop these waves by the authorities? Have you experienced any pressure as a blogger? The problem of Internet freedom has a very peculiar nature in Russia. If security organizations, such as the FSB [Federal Security Service] were not only tough – as they are – but also had a brain, they would understand that they have to stop people who can start a wave first. But they actually work in a very straightforward way. For instance, Center “E” (Police Center on Extremism) employees look at online texts, and check if the text of a blog post incites to something. They have a ling list of “incitement” definitions, including “social discord”, which criticism of the authorities can easily fall into. They prosecute people according to this framework. Another thing is that they have certain statistical reporting goals, and to fulfill them, they focus on the bloggers in the regions. I am less interesting for them since I am not helpful for their statistics. Q: What do you think about the relationship between online society and the state in Russia? I believe that the future of politics belongs to the networked organizations that will grow from the Internet. Earlier people had to join a political party to participate in social or political life. Now it is not necessary and even pointless. People engage in blogging and social networking, not in party politics. The future belongs to free network collaborations of people who will participate in entirely different activities. It will be effective, because unlike in the parties, membership won’t be required, nor any bureaucratic procedures. The only thing that will be required is for the person to periodically join some type of activity and operate within the framework. Such movements will be born and die, as they do all the time. This is nothing to worry about. Sooner or later, some sort of constant configuration will grow from it. Once a society is ready, it's people won't just sit back during a crisis. They will self-organize immediately on the internet. Q: How do you interpret the flirtation of state officials with the Internet? For instance, Russian President Medvedev’s foray on Twitter? It creates a new reality. I still do not understand where this will lead, but I think it's good. There is a common saying that “the government gets closer to the people.” It creates new relations between people and the authorities. The government finds itself on the same level with its own citizens, becomes understandable and accessible. On big problem we have in Russia is the so called ‘sacredness’ of power. It plays a big part in people’s perception of the government. The Internet is very helpful in making that gradually disappear. Q: But in the end, who has the dominant power? Will the authorities transform the Internet, or will the Internet transform the authorities? The second. There are very straightforward attempts of the authorities to go online. When they publish press releases, which are very dull annd uninteresting, this does not affect the Internet. That's just spamming. But there are also officials, including various governors, who like to be personally engaged in online interaction. Such dialogue certainly changes them and generally also changes society. Q: How do you evaluate the role of RuNet (the Russian language Internet) during the wildfires this summer? This is an example of how society is able to self-organize. Of course it wasn't all of society that took part in this process, only an active core. How does this mechanism work? If people see something as threatening enough to them personally, and the government also demonstrates ineffectiveness, the next step is for people to self-organize. And they use social software like Ushahidi and Livejournal. The wildfires story is all about networks. It is an example of how a society will react to various threats when it’s ready to respond to them. If people think they can’t influence the outcome, nothing will happen. Q: You mentioned the online social mapping software Ushahidi. You were personally involved in the wildfires “Help Map” project that successfully enabled citizens to seek and offer help to one other via an Ushahidi platform. What conclusions do you draw from this project? The most unexpected thing for me was that almost none of my politically active friends, save for a few, supported it and saw this story as a political one. I believe it was definitely a political story, in the best sense of the word. In Russia the word “political” is compromised, but I mean political in the sense that this actually united a part of society and that this mechanism began to have an impact on the life of the state as a whole. I have an eternal dispute with my former political colleagues… They believe that we should organize protests, conduct public political actions and that this is the only way to create political change… Perhaps this is also needed, but the scenario when you create a website that helps people collaborate and start working for a common cause – that is the goal of politics. They understand it in a more straightforward way. From their point of view, the most important application of the Internet is freedom of speech. I'm developing another idea: that the Internet is primarily an opportunity for people’s self organization. The new politics will grow from this – from different websites that will unite people and organize them in common action. I was certainly surprised by the level of readiness of our society to react once there was a practical way for them to do so, In Russia there is a very popular claim – everyone blames society. I'm almost the only person who praises society, because I really see how it is becoming more healthy. Many similar initiatives are emerging, where people begin to solve their problems. And not just their own problems, but also those of the state, region, city… That's all part of a new politics. It is something we will see blossoming during the next years. Q: In your opinion, what role will the Internet play in the 2012 presidential election? Most voters connect with TV, not the Internet. Can the Internet play any decisive role? I have a feeling the Internet will only reach a critical point of impact at the junction of 2012 and 2013. I see something important brewing, but I don't think it will reach the boiling point before the 2012 elections. We need the number of people involved to grow first. The habit of joining and participating in network initiatives needs to become more widespread, and people also need to feel more comfortable contributing money. They need to understand they have a powerful mechanism in their hands – that they can change something as soon as a critical mass of people is engaged. Then it will all come together. Q: Do you think that the fact the Putin is almost ignoring Internet might have any influence on his success? Certainly the Internet audience will primarily support Medvedev, even without realizing it. Because, if Putin would go to a new term, it can work as a negative trigger for many people. Putin in 2012 for many it is a synonymous for lack of perspective in their lifetime, and people will prefer to leave Russia. I think it might have a negative impact on the network activity because the frustration and hopelessness is clearly not helping to make people to unite. Q: What are your future plans on the Web? I have a new website called BestToday.ru. It is an experiment. I intend to use it to track and follow the stories that run and spread via blogs. Second, the goal is to help deserving stories penetrate the mainstream media. I like working with information and enjoy observing how networks can transform nothingness into a social, media fact. We're also going to keep developing stories ourselves, of course. Q: This is a full time job? Generally, yes… But I do not get paid for it. When people start getting paid, it is already something that is not from the heart.